Chief Minister K Chandrasekhar Rao would offer a golden crown worth Rs 3.70 crore to Goddess Bhadrakali in Warangal for fulfilling his vow on formation of separate Telangana state. 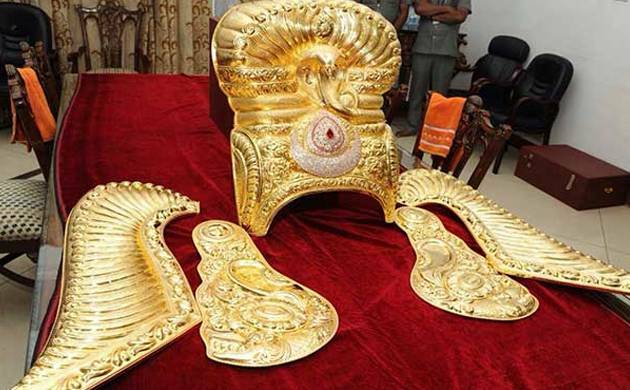 The crown, weighing 11.7 kg, was specially made to order by the Telangana government. Rao, who had a look at the crown last night, would present it to the Goddess on the behalf of the state government on October 9 on the occasion of Devi Navarathri. He had made different vows during separate statehood agitation for the fulfilment of the goal.